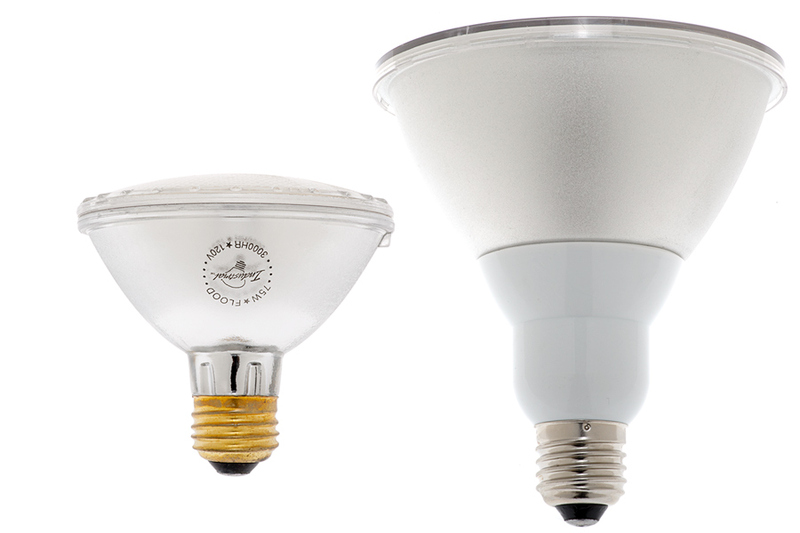 PAR38 LED bulbs provide glare-free spot or flood lighting for household, landscape, and industrial applications. 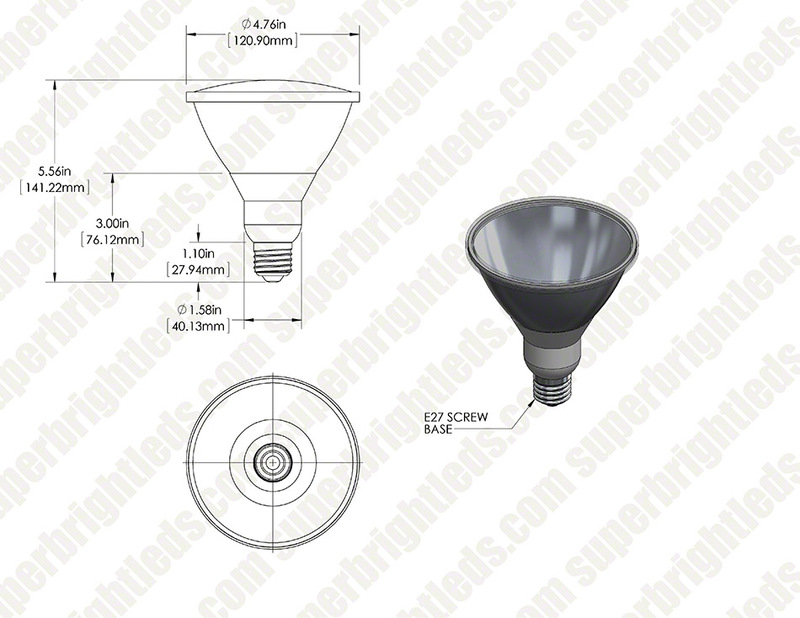 The LED bulbs are perfect for track lights, recessed lights, security lights, trade show lights, or can lights that accept PAR38 bulbs with E26/E27 medium screw bases. 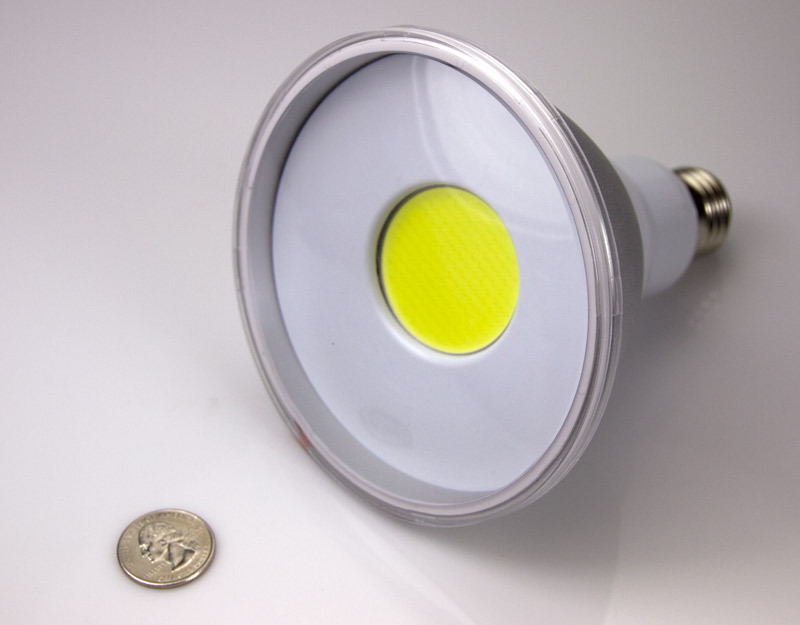 This LED spotlight/flood light bulb has 1 COB (chips-on-board) LED that produces up to 600 lumens. 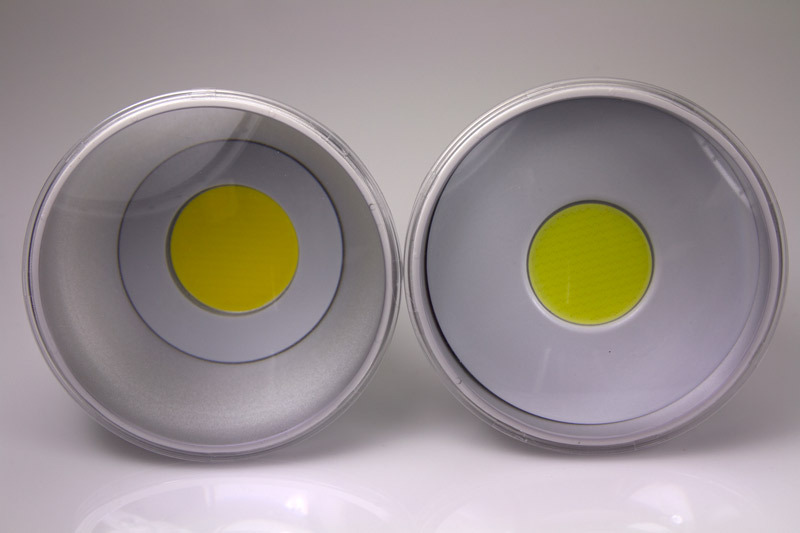 The LED emits a narrow 70° or wide 110° beam pattern of cool white (6100K) or warm white (3100K) illumination. 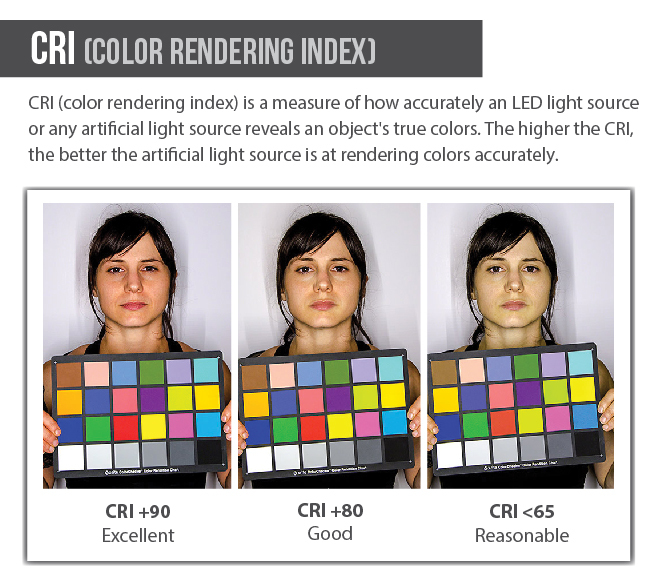 And with a high CRI (color-rendering index) of 80, light from the LED shows the true colors of any object or surrounding. 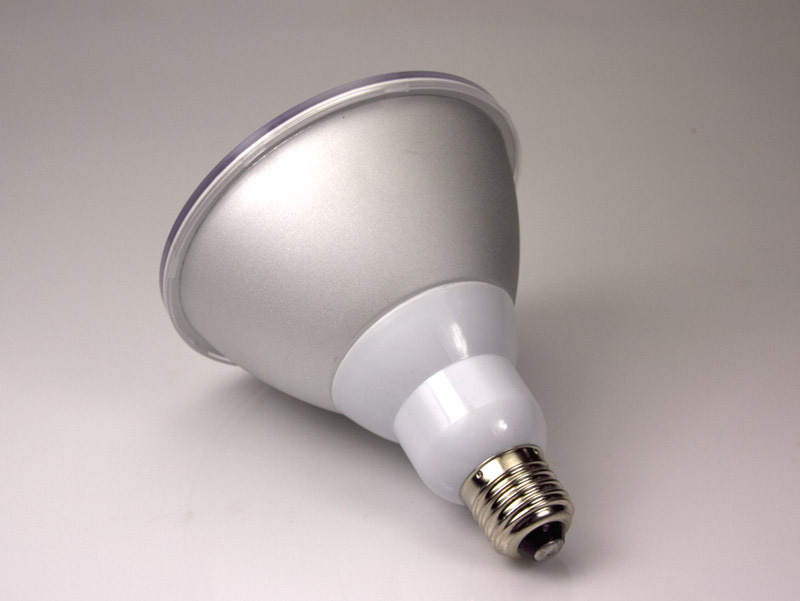 This energy-efficient LED bulb uses only 9 watts of power; an incandescent bulb with comparable light output would consume 40 watts. 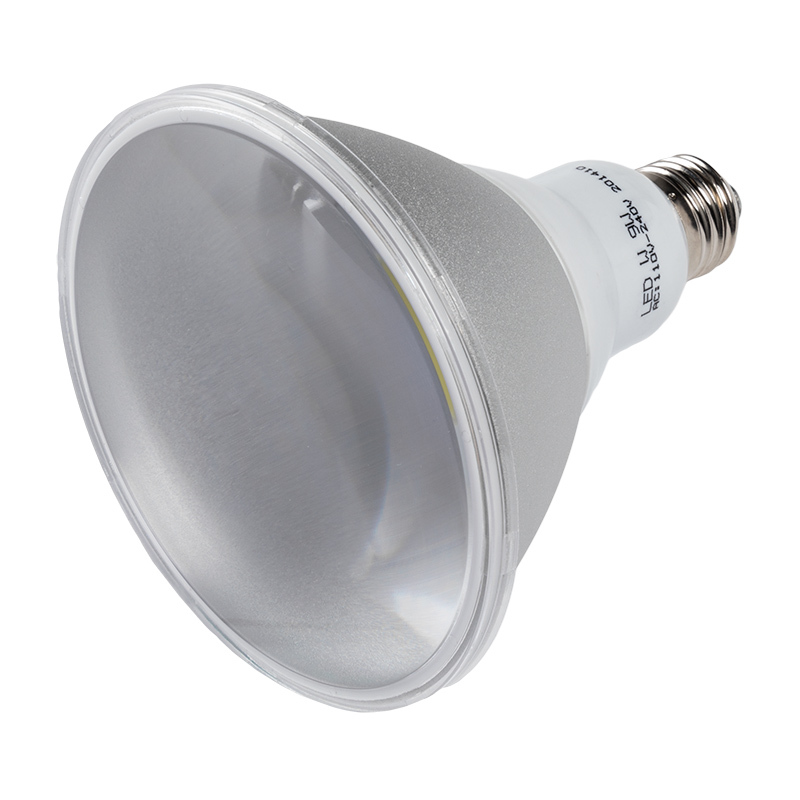 The PAR38 bulb operates within a wide 110-230V AC range and is designed to last 30,000 hours—25 times longer than incandescent bulbs. Price per bulb. Does the job. 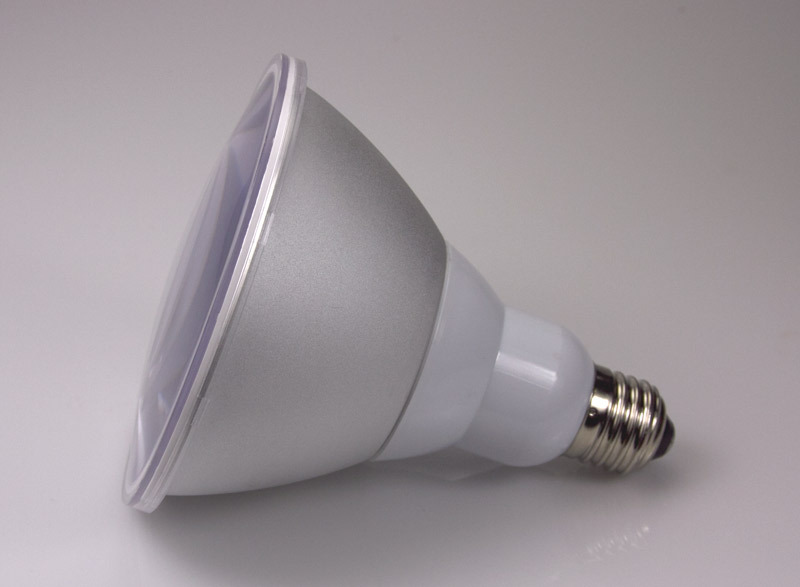 Cool White Looks brighter than its "equivalent incandescent watt rating". Intend to get more of same. Rate it a four plus (4+), almost a five. 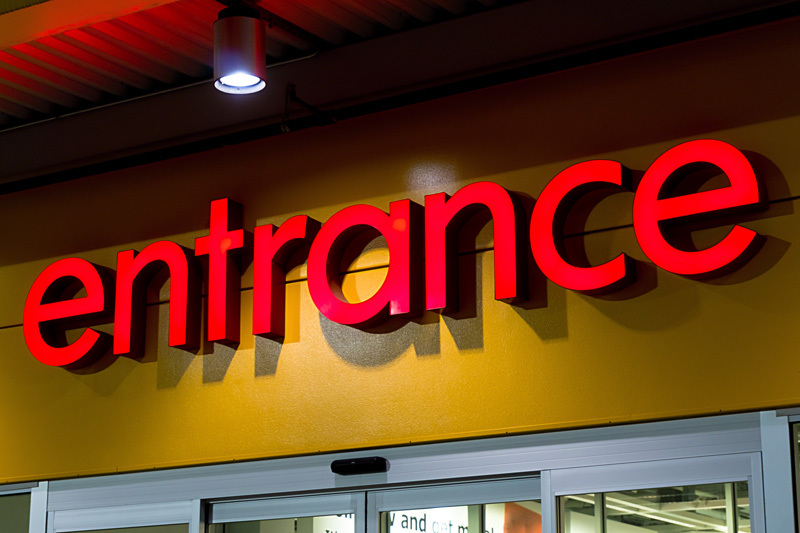 Immediate performance, even in cold. 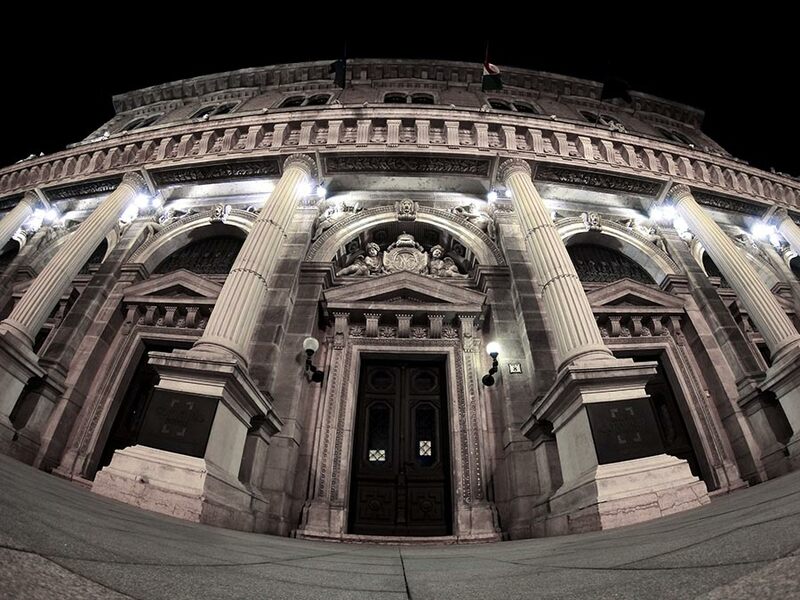 IP65/weatherproof. Uses considerably less energy to operate. Longer operating life. Less wear on timers and switching contacts. 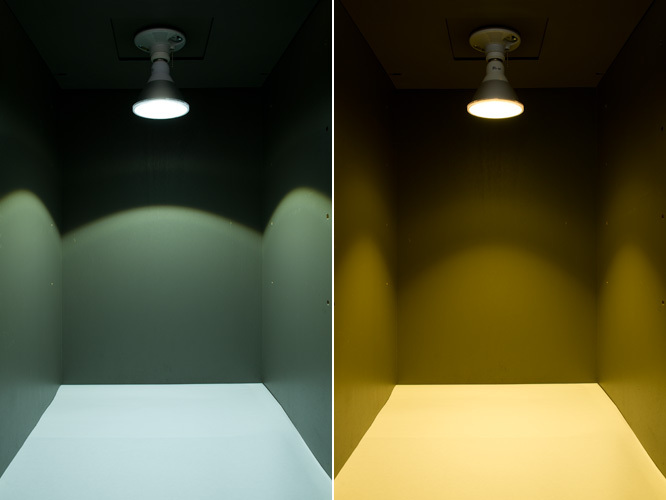 Cool white provides broad spectrum of light, making colors much more noticeable.